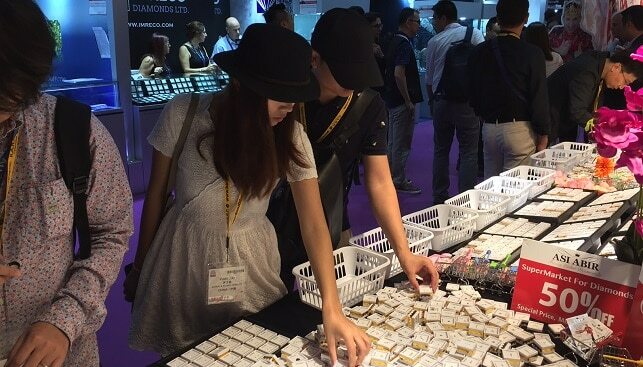 Ramat Gan, Israel, August 13, 2018: ​The Israel Diamond Pavilion at the September Hong Kong Jewellery & Gem Fair, organized by the Israel Diamond Institute (IDI), will feature an auction of special stones offered by exhibitors. To ensure a high level of interest, IDI will award several free trips to Israel to buyers at the auction. The trips will be timed to coincide with the International Diamond Week in Israel at the end of January 2019. The auctioned goods will be on view and bids may be placed during the first several days of the exhibition. Progress on the bidding will be shown on screens located within the Israel Diamond Pavilion. The Israeli pavilion, located in Hall 9 of the Asia World Expo, will be one of the largest at the show. It will comprise 66 Israeli diamond companies and will encompass 978 square meters. There will also be 13 additional Israeli companies exhibiting at different locations throughout the show. The IDI Lounge at the heart of the pavilion will feature a 360 degree bar outfitted with three Get Diamonds Show search terminals and a charging station for smartphones and other devices. 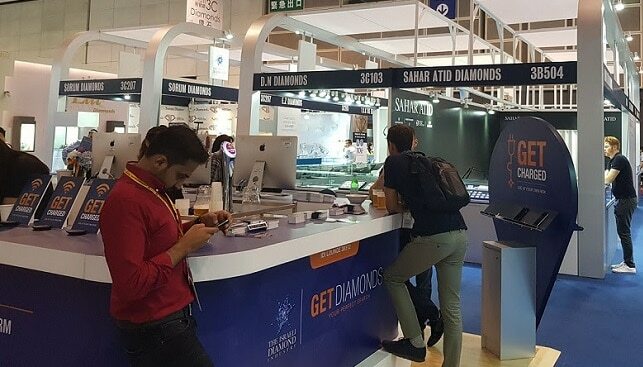 Get Diamonds Show is a search platform innovated by IDI that enables buyers to search a database of all goods offered by Israeli exhibitors at the show. With both a Chinese and an English version, the search platform attracts a great deal of users to the terminals in the IDI Lounge. The search platform is also accessible on smartphones. IDI will launch a special website for the Hong Kong September show with full details of all Israeli companies participating in the show, including background and contact information, as well as a map of the Israel Diamond Pavilion. The site will go live the day before the show opens. IDI Chairman Boaz Moldawsky said, “We are quite optimistic about the show and about Asian markets in general, which are seeing a rising demand for diamonds. The September show is a major one for the Israeli industry and I am pleased that we will have a strong presence there. I am hopeful about the outcome of the show despite the challenges the diamond industry has been facing”.